Trending pretty heavily on most social media platforms is this wave of street style and urban fashion. Anyone who follows fashion in the world of social media i.e. Instagram, Twitter, Tumblr, etc., would agree that street style is a predominant aesthetic making its way back to the runway with a vengeance. Street Style has actually been on the scene from as far back as the 50s during the hippy and punk rocker eras. Progressively, we began to notice street fashions re-emerge during the early hip hop music crave and to-date, can be seen worn by several celebrities such as Kanye, Nick Wooster or David Gandy. With that being said, it is my pleasure to introduce our readers to a very cool ready-to-wear street brand known as Respectfully Clothing NYC. Respectfully Clothing stands out among the rest as high quality, versatile and comfortable urban wear for men available online via www.respectfullyclothing.com. For someone like myself who has more of a classic modern aesthetic, I find that sometimes, venturing into street fashion seems to add a certain pizzazz to classic styles. For example, sometimes just adding one or two subtle classic pieces to an urban look, can make a world of difference. Hence, what we call "urban classic style." 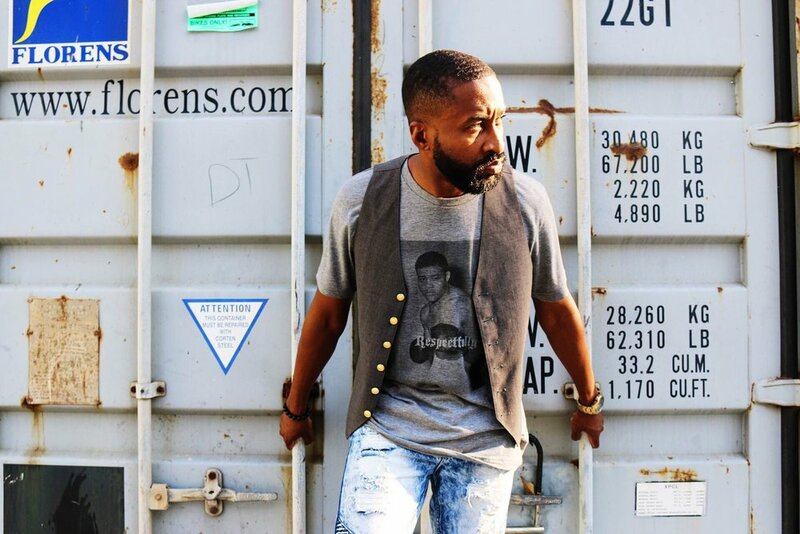 Check out this simple look of me in this Grey Joe Louis Classic T paired with some tethered blue jeans, Puma high-tops, a simple fitted vest and an all-black pork pie hat. Just goes to show that not all urban style is what people may typically imagine; as oversized and intended solely for people in pop culture. But, these looks can also be pulled off as versatile addendums to the more conservative forms of style adding personality to the overall look. 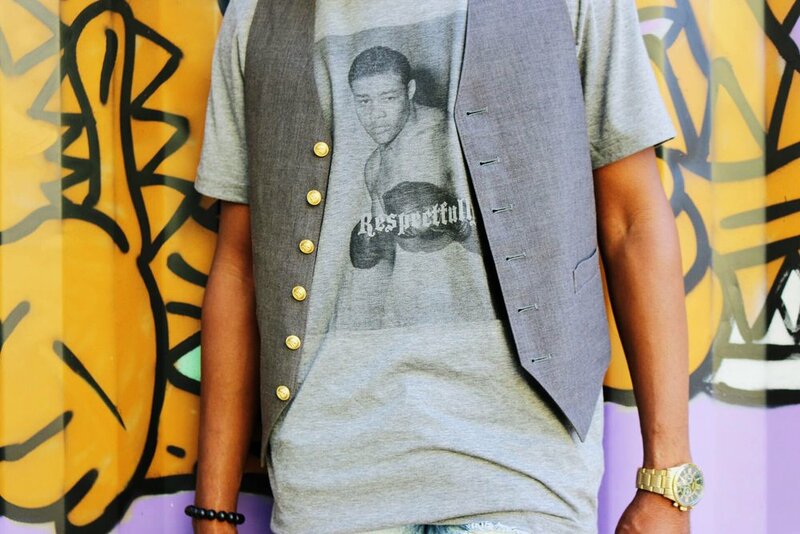 Be sure to check out these other cool new arrivals to Respectfully Clothing on their site. Follow their style journey via Instagram @respectfullyclothing or Tumblr via http://respectfullyclothing.tumblr.com/. A journalistic lifestyle brand for all things modern and classy. Dress Like A Gent ™ is a lifestyle blog that focuses primarily on helping men develop their own personal style by showcasing various elegant styles and relevant fashion trends.